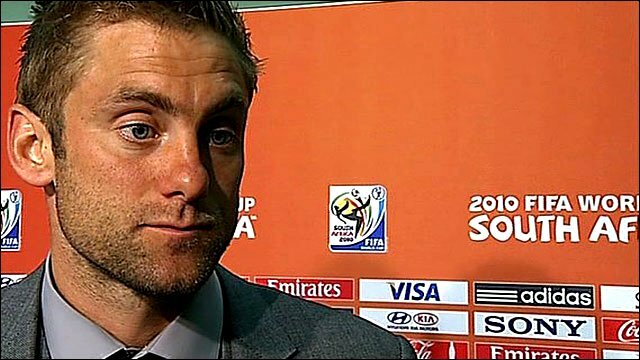 Robert Green is confident he has the mental resolve to bounce back from the World Cup howler that helped the United States draw 1-1 with England. "I'm sure there's 50-odd million people disappointed with me, but I'll come back, work hard and it won't affect me," said West Ham goalkeeper Green. "At half time I walked in, apologised to the lads and moved on." Capello's strategy of naming his team just before the game was backed by the Football Association's Trevor Brooking. "His idea has always been that sometimes when you have a big squad and you know the team, those not involved switch off and you become a playing group and a non-playing group," the Football Association's director of football development told BBC Radio 5 live's Sportsweek programme. "I don't think it would really make any difference to them if they knew earlier, because they would still go out there and be professional and give their best." Green failed to get behind a Clint Dempsey strike from outside the penalty area, allowing the ball to squirm through his hands and over the line to gift the US an equaliser just before half-time in Rustenburg. It cost England dear, with Capello's men unable to find a response despite a bright start that saw Steven Gerrard score a fine opener after just four minutes. "It hit the outside of one of my thumbs, do that again 1000 times and I will save 999," said Green. "It is something that has happened in life, you accept it, move on and keep working. I want to carry on playing and I want to stand up and represent my country. "You don't prepare for making a great save, you don't prepare mentally for having a perfect game, you prepare for making mistakes and it is bouncing back from those mistakes which is the important part. "Thankfully in the next 50 minutes of the game I did that." Despite refusing to publicly blame the West Ham keeper, Capello refused to confirm Green would again start in goal in England's next Group C game against Algeria on Friday. 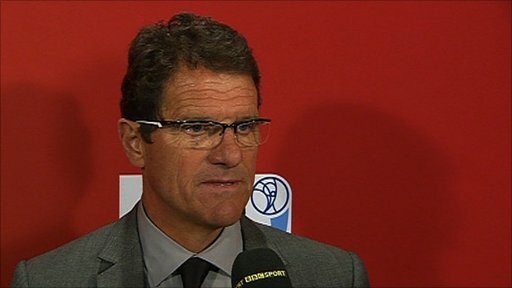 "Sometimes a forward misses, sometimes a keeper makes a mistake - that's football," said Capello. "The second half he (Green) played very well, but the mistake remains a mistake." It is not the first time Green has made a high-profile error in an England shirt. He mis-kicked a goal-kick, rupturing his groin in the process, that allowed Belarus to equalise in a 2-1 England B defeat at the Madejski Stadium in 2006. The injury subsequently led to him missing the World Cup, where he was due to be third choice. According to Opta statistics, too, Green made more errors leading to goals than any other player in the Premier League last season. But Green insisted he would not be too downbeat, saying: "Clint has hit one and it's one I should have saved. "It's thoroughly disappointing, (but) it's something that has happened and I can't let it affect me. "I had 50 minutes left in the game to represent my country and not let it happen again and I didn't let it affect my performance. "But I'll come back to training on Sunday, work hard, work hard the next day, and prepare as if I'm playing in the next game. "It's about mental strength. Worse things have happened to people. It's about carrying on and working for the team and focusing." Ahead of the World there had been a lot of criticism of the "Jabulani" tournament ball, with players and coaches unhappy with its movement through the air. But that appeared to have little to do with Green's error, with Dempsey's shot bouncing twice before it reached the England keeper. Green's team-mates Steven Gerrard and John Terry rallied round the 30-year-old goalkeeper, while US keeper Tim Howard, named man-of-the-match, said: "Of course I feel for him. "He has made a couple of really good saves and, as we have been saying all week, this ball is doing silly things. "Unfortunately at this level, sometimes these things are going to happen. I feel terribly for him but when you are goalkeeping you have to have broad shoulders." Howard's US team-mate Brad Friedel was also quick to defend Green. He told BBC Radio 5 live: "A mistake can happen to anybody at any time, the same goes for a striker missing a sitter. "He will want to play again on Friday. 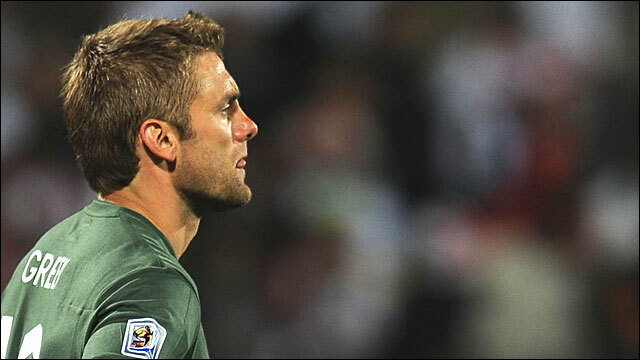 As a goalkeeper I know exactly how Robert Green will feel as that mistake let us back in the game." Gerrard added: "Conceding the goal shocked us a bit because when you go in front a team like us expects to go on and win. "(But) we can't criticise the keeper - the ball is tricky and we'll get behind Rob. I'm sure he'll come back from this, learn from this, and go from strength to strength. He'll play his part further down the line. Terry added: "It's one of those things. Mistakes happen and we're in this together. We need to get behind Rob - he's got good friends here."